We often share DIY projects that inspire creative homeowners to try out for themselves. 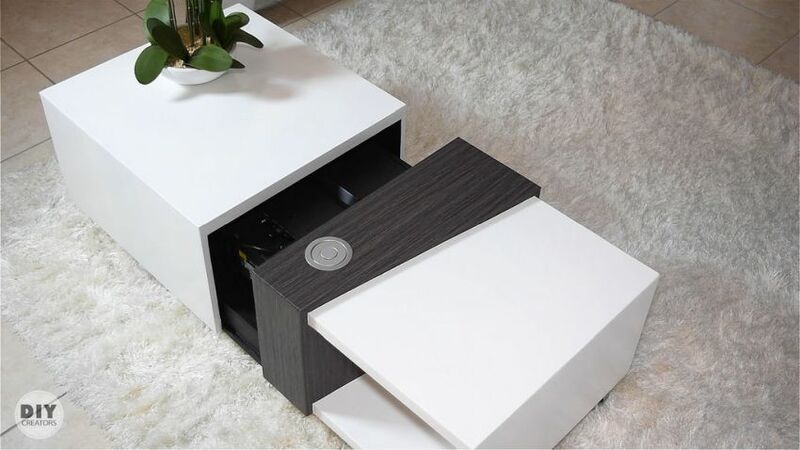 Recently, we came across a stunning DIY motorized coffee table that not only has a secret compartment to store your belongings, but also to hide a 4K LG projector. 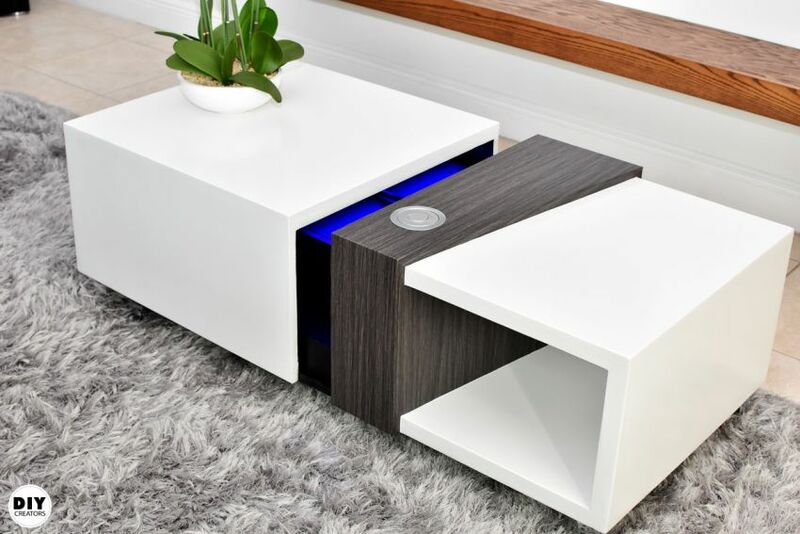 Designed by Glen Scott of DIY Creators, this movable coffee table is a dream come true for people who love to watch their favorite series or movies. 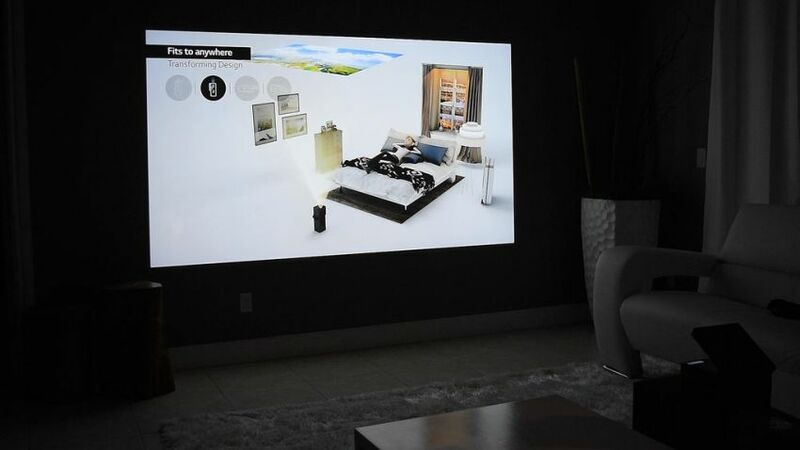 Instead of putting a huge TV on the wall, you just need a projector screen and a high-quality projector. 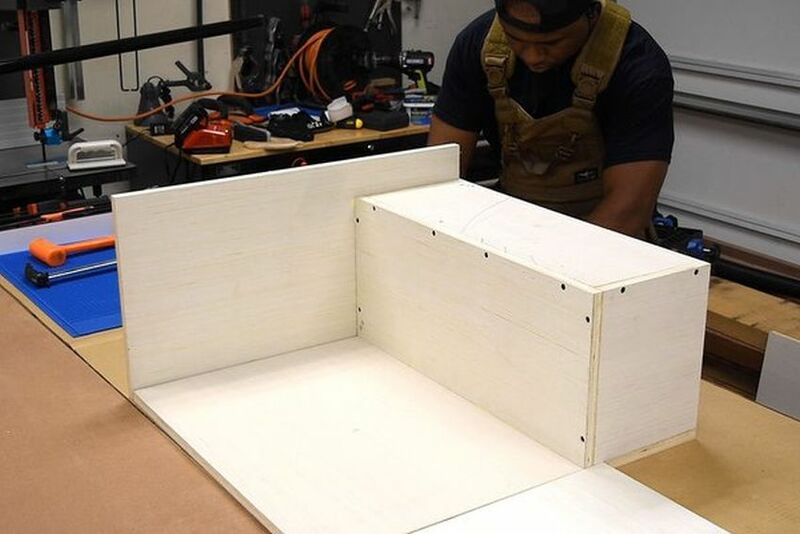 This DIY solves the purpose as it conceals a 4K projector inside a coffee table. Good thing is that you can hide in the plain sight, after use. 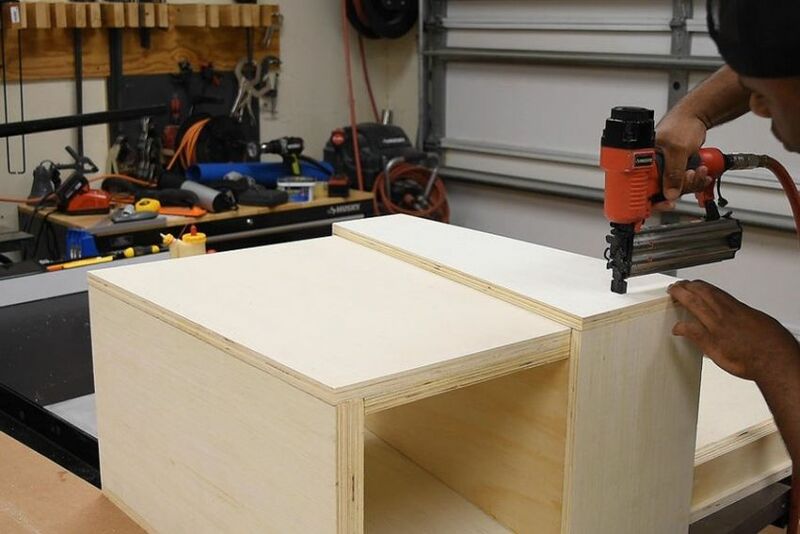 If you are a DIYer, you can build it yourself in the comfort of your own home or workshop. 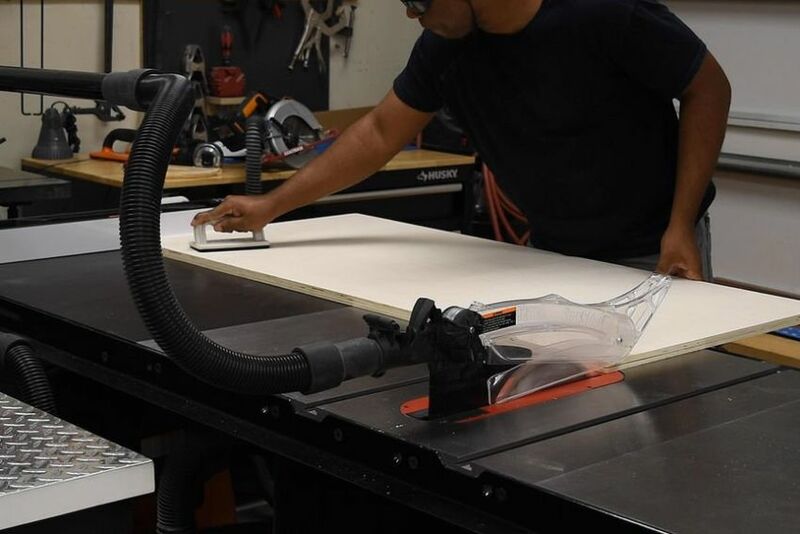 You can begin by cutting the plywood sheets precisely using a table saw. One can also use the circular saw for cutting, but it’s quite time-consuming. Start by building the moving section of the coffee table. Most parts of the coffee table are double paneled to give it a thick appearance. 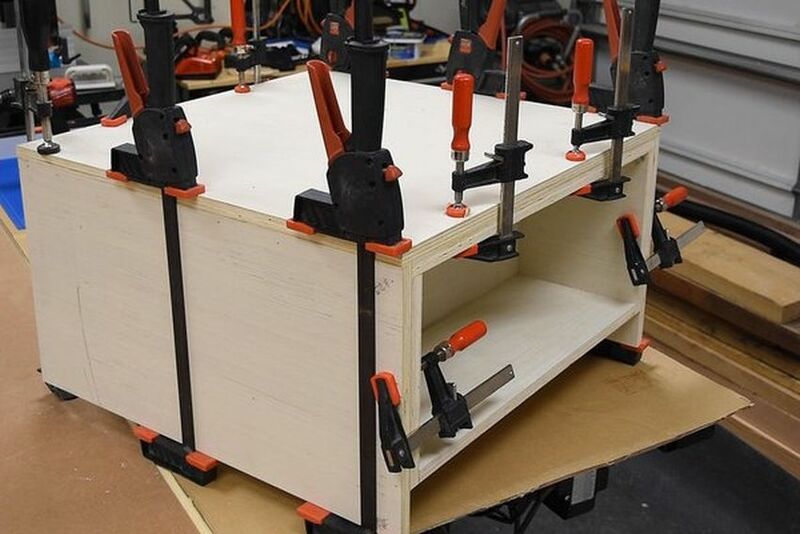 You can glue the moving part using a nail gun for a quick hold then add clamps. 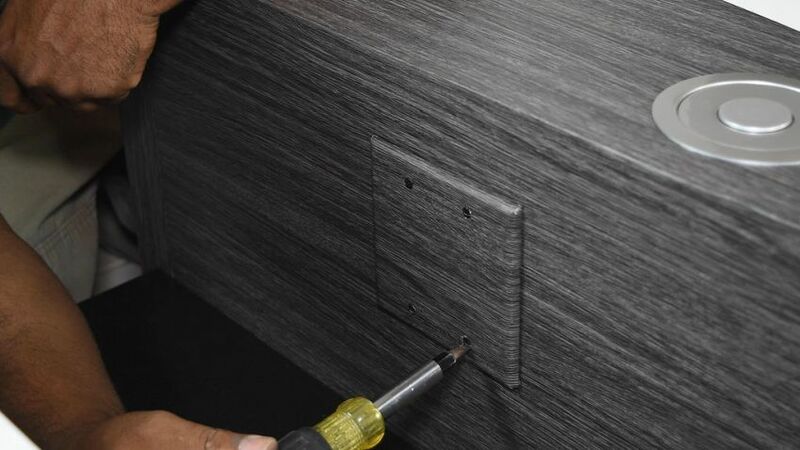 Now, double up each panel and make sure that the areas that would remain visible are not overdone with nails. 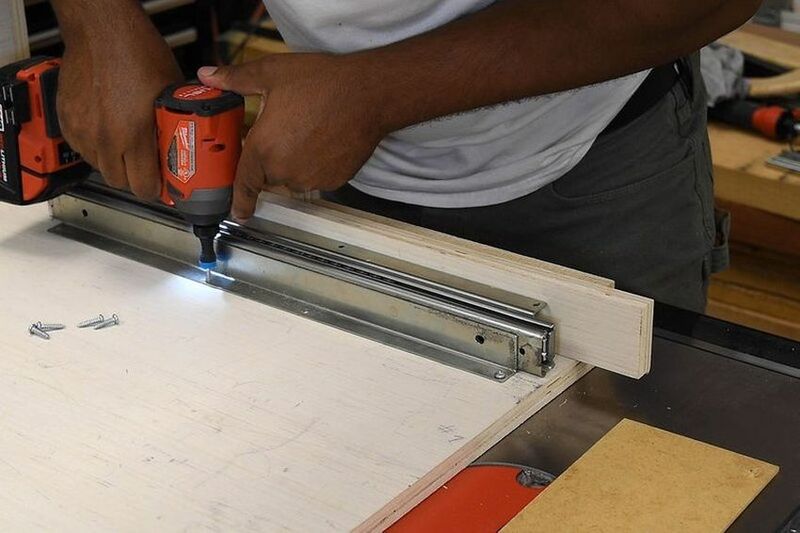 You need pocket hole jig to make holes to the side and bottom areas. After that, secure the inner panel with pocket hole screws. Using a divider, you can create an empty space to hide the pull-up outlet. 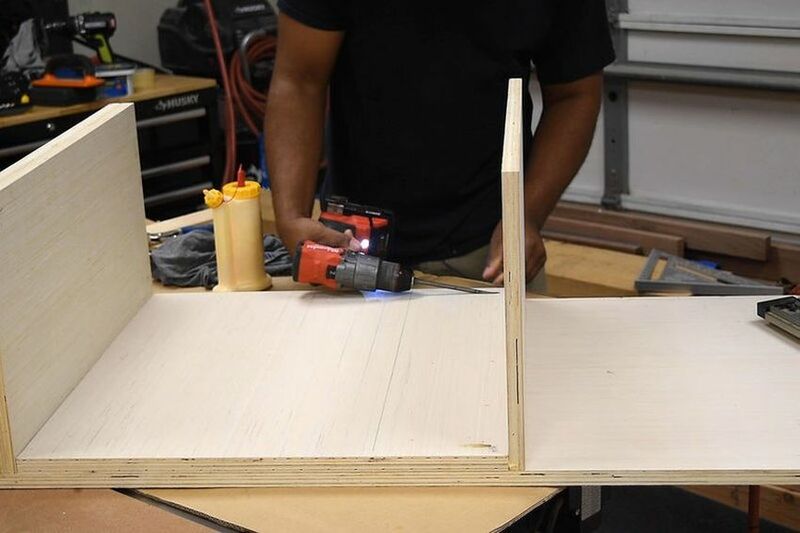 Then install the tapered part to the top section to add depth to the design. Next drill the hole for an outlet, however, this is totally optional. After that, begin cutting out the hole for the access panel and for the power cord to pass through. 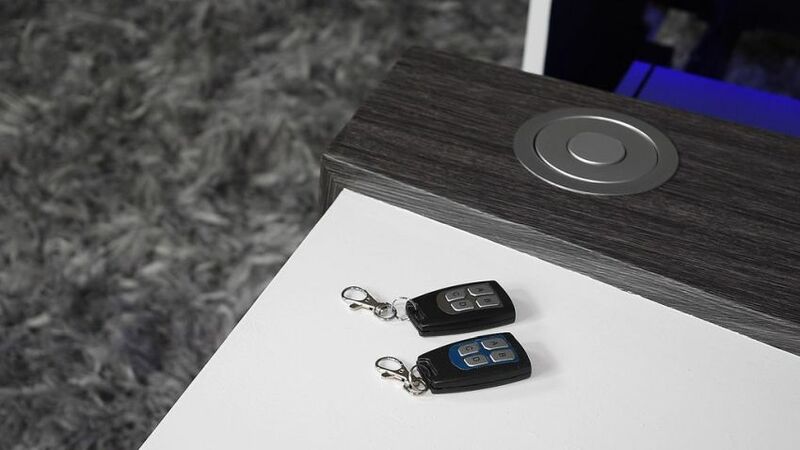 You need to work carefully to give a modern profile to the coffee table. Make its surface smooth with sanding and apply Bondo. The first coat of primer is needed for enhancing the appearance and for a more finished look. 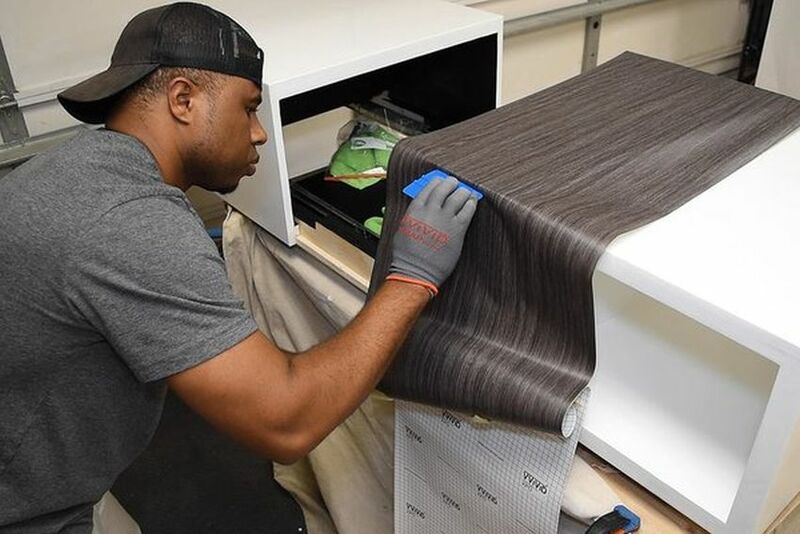 You need to be very precise while adding vinyl onto the table’s sides and the top surface. With a few trial and errors, you can achieve the final look. 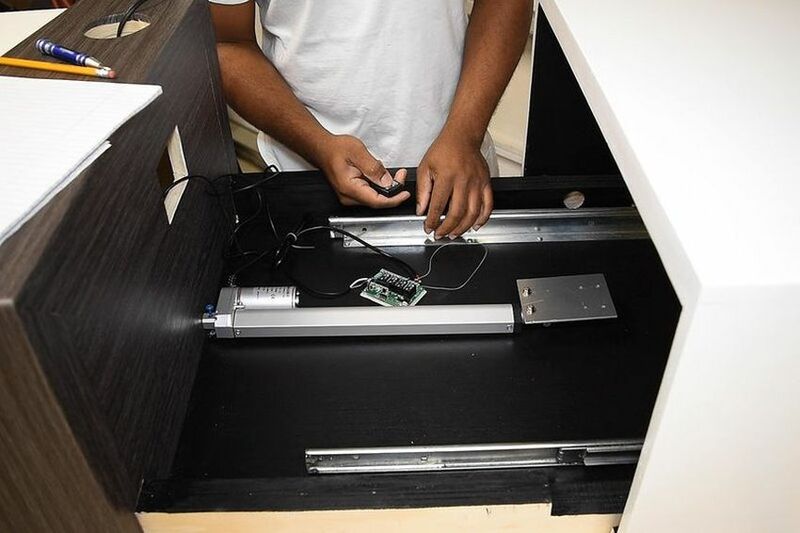 Now it’s time to install the actuator in the center of the table. Secure the end with the motor to the bottom using a nut and bolt. On the opposite end, you have to use a bracket with a piece of 1/8in plate for securing it to the part that moves. 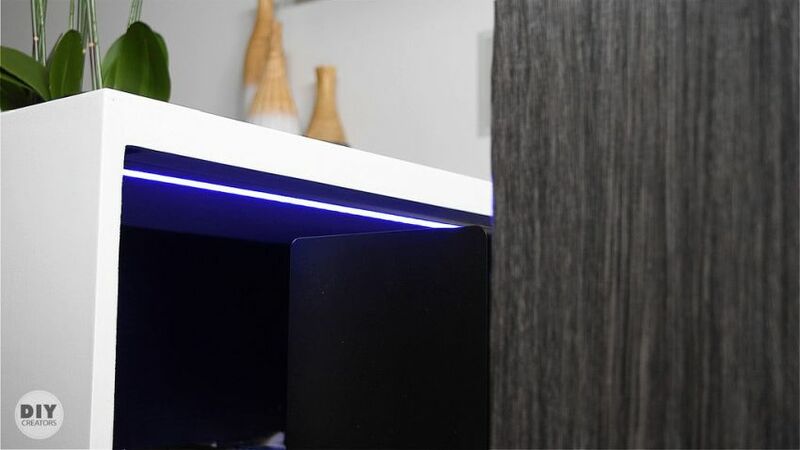 The actuator is wired to a four-channel wireless receiver that is also connected with the LED strip which controls each color and adds aesthetic appeal to the entire design. 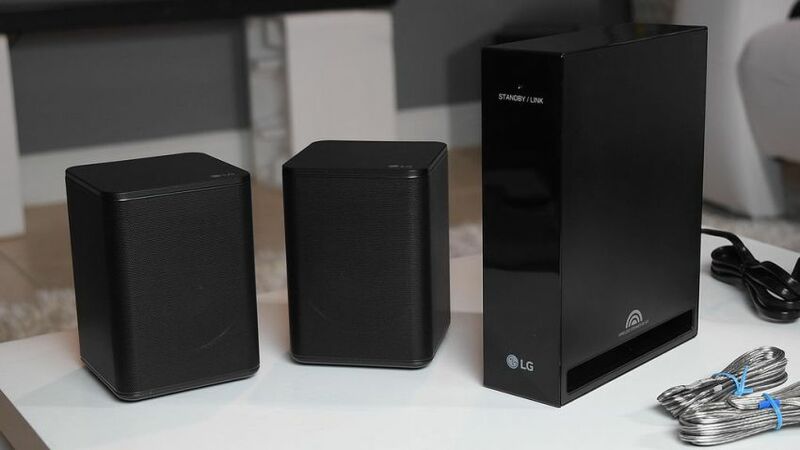 Within the secret compartment, a 4K LG projector is added that remains hidden out of the sight until required. 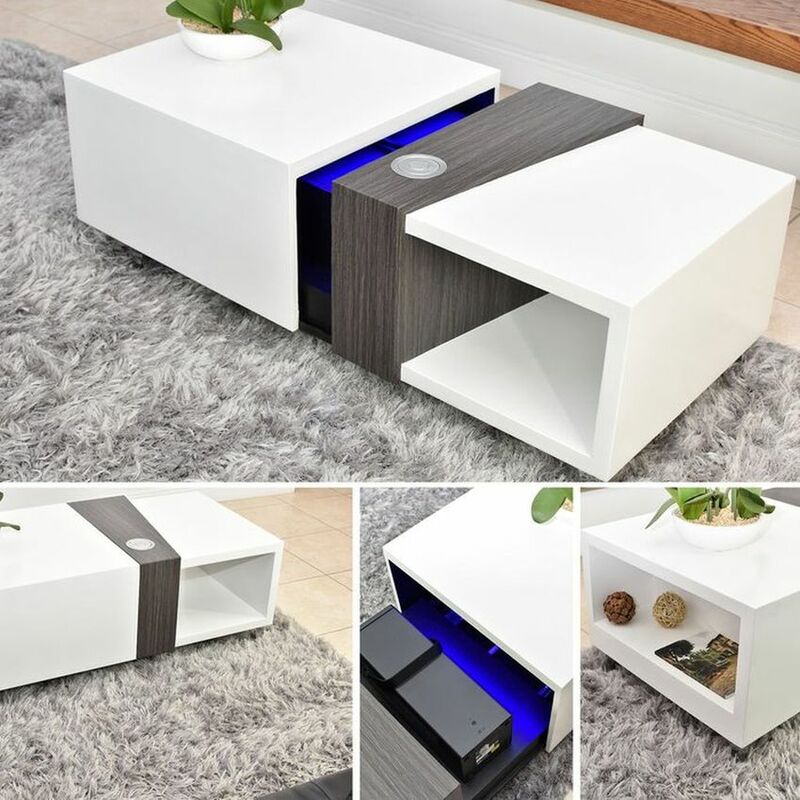 This coffee table not only works as a piece of furniture but also conceals the projector safely. 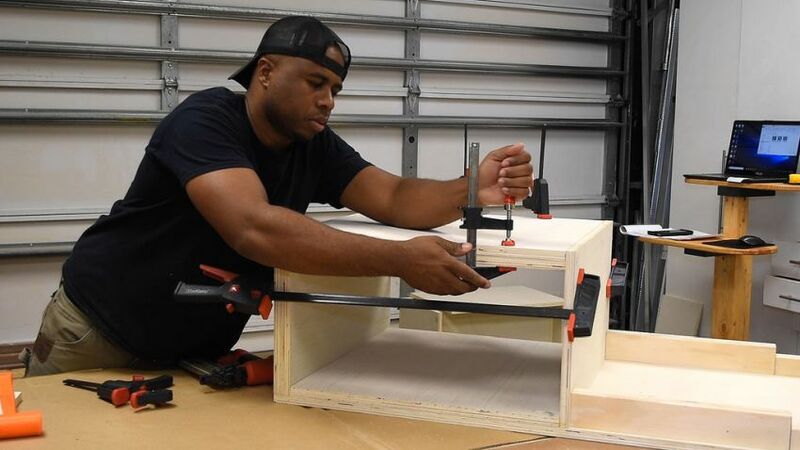 It is one of the coolest coffee tables out there and you can try and make one. Visit the DIY Creators’ website for detailed instructions on how to make this DIY coffee table. 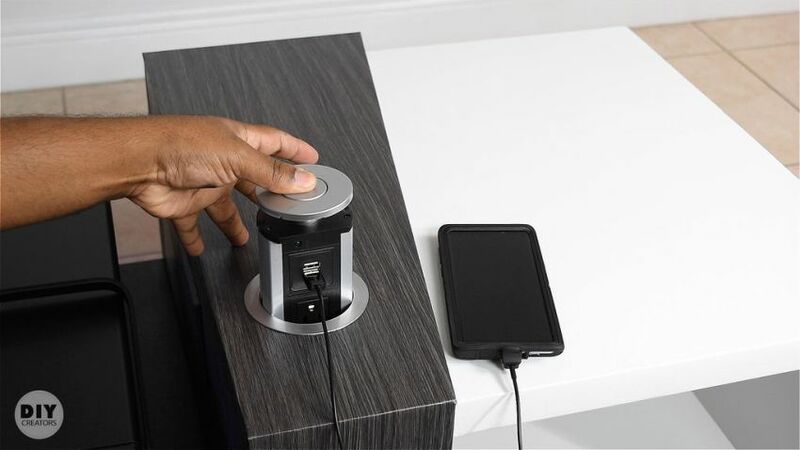 Meanwhile, check out the video and images below to learn more about the coffee table and its working.